Obituary of Sandra J. Bernier - Phaneuf Funeral Homes & Crematorium - Coolidge Ave.
Sandra J. ( Sandy) Bernier passed away peacefully surrounded by family and friends on March 23, 2019, after a brief illness. She was born to Henry and Blondine (Herbert) on April 6, 1937, in Randolph, Vermont. She grew up in St. Peter's Orphanage until the age of 14. She was a member of the Class of 1954 at St. Joseph's High School for Girls. Sandy loved puzzles of any kind, and always rose to the challenge of a great game of Scrabble. Her talent for knitting and crocheting were unparalleled. 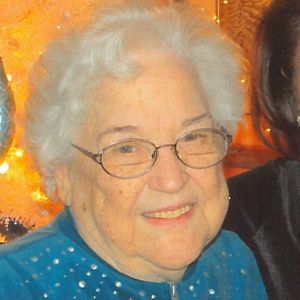 She was a voracious reader, and an even greater fan of the Patriots and Red Sox. Sandy's employment consisted of a lifetime of impeccable bookkeeping. Her last job was at Visage Salon, where she was not only a bookkeeper, but receptionist extraordinaire. Her most loved job however, was being a Mom and Nana. She was predeceased by her stepfather Andre "Pep" Miville, who graciously and lovingly finished raising her from the age of 15. She is also predeceased by her longtime companion Joe Campbell. Sandy leaves behind 3 children: Donna McQuade of Manchester, Rick Bernier of Jaffrey, Dave Bernier and his wife Angela (Hulsey) Bernier of Redondo Beach, CA. She also leaves behind her best friend and granddaughter, Mallory McQuade of Manchester. She was loved immeasurably and will be missed evermore. A celebration of her life will take place on her birthday, Saturday, April 6, at Phaneuf Funeral Homes and Crematorium, 250 Coolidge Ave. in Manchester from 3-6 P.M. In lieu of flowers, please make donations to the Manchester Animal Shelter in memory of her beloved cat, Chester. Add your thoughts, prayers or a condolence to Sandra's guestbook. Your inquiry has been forwarded to Phaneuf Funeral Homes & Crematorium - Coolidge Ave..